Bedroom Beats & Lofi Hip-Hop welcomes you home. 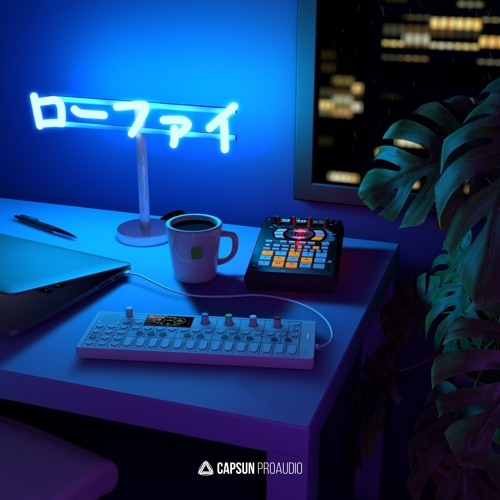 Intimate lofi melodic samples blend with emotive vocals, fuzzy synths and saturated drum samples to create the warm sound of homegrown hip-hop instrumentals. All inspiration, all royalty free and ready to drop into your DAW or sampler of choice. We focused on inspiring melodic cuts first and created a deep collection of melodic loops and one shots. Full melodies and vinyl cuts (from scratch), re-sampled live guitars, dusty pianos and Rhodes, vintage (and broken) synths and toy synths. Processing and re-processing includes bit-crushing, cassette, hardware emulations and re-amping. 808 bass hits and heavier chops add more new school elements to the mix. Plus we added a few of our location foley recordings and essential vinyl crackle fx. Dive into a hand lofi hip-hop drum kit of one shots and loops. Dirty kicks, soft snares and clap splashes, raw percussion and breaks. All dripping in saturation, grit and low-res character. Loops include un-quantized beats and glitchy percussive chops with foley sampling and melodic layers. If you’re into the lofi scene and aesthetic then you’ll know the vibe. 24/7 chilled youtube streams, beats to study to and jazzy nostalgic origins. Designed to perfectly inspire and compliment Lofi Hip-Hop, Chill Hop, Downtempo Trap and Dusty Electronica.